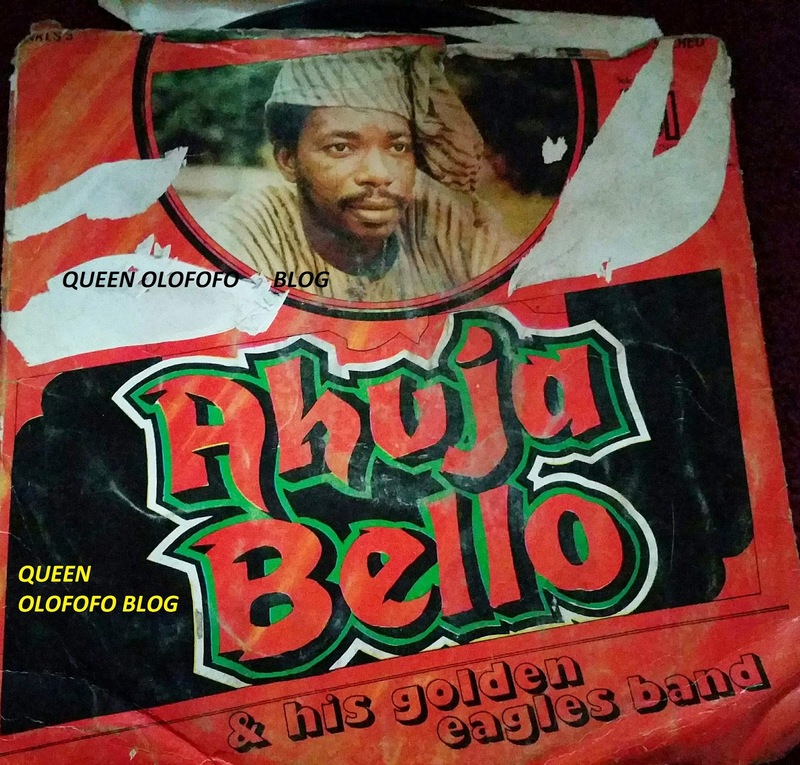 Nigerian old school music sure have filled us all with some memorable moments.The great songs have been the sound tracks to our lives.Anyone who grew up in Nigeria in the 70s,80s,and to some extent early 90s,will agree the music that came out of that period were the best ever and gave us some glorious songs! 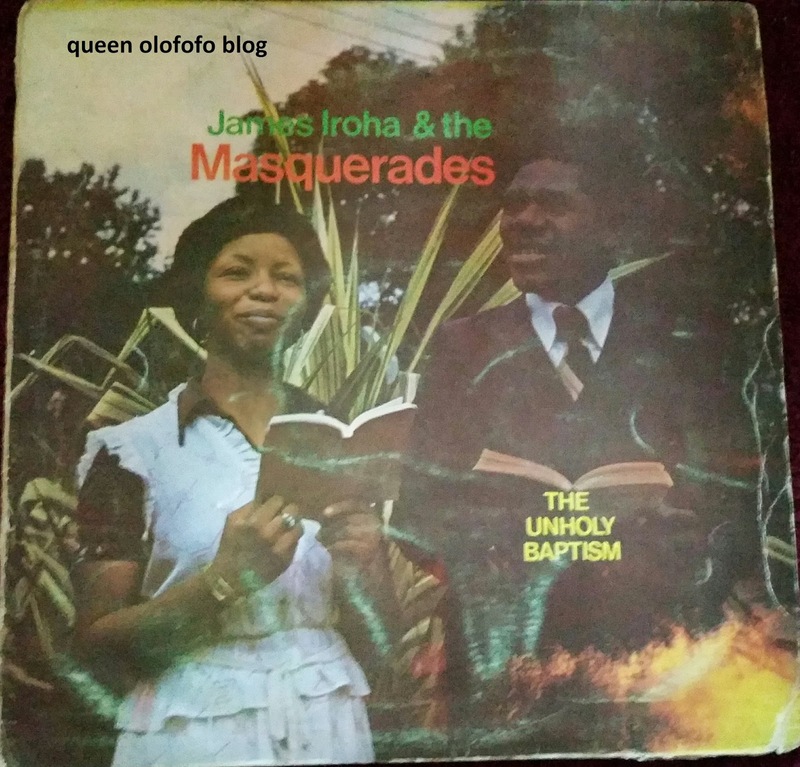 Oh my gosh,so many great artists,Fela Kuti,Prince Nico Mbarga,King Sunny Ade,Ebenezer Obey,The Oriental Brothers,Sonny Okosun,Chris Okotie,Christy Essien,Sir Shina Peters and on and on. the first time you heard it or when the song was in vogue.Another thing about old school music is,in those days we actually had vinyls.so you had this big album cover and it was almost as important as the songs on the vinyl itself.It was not uncommon to go into houses and find the room decorated with album covers lol..That's how important,trendy and captivating those album covers were. I had so many Fela albums placed strategically on out Tv,that my dad was worried i had been visiting the shrine lol.Although my dad loved Fela and always listened to him,they still compared him and his band boys to hooligan,so you get occasional comments like "why are you behaving like one of Fela's band boys"? lol..Or you dressed a certain way and you get things like you are not leaving my house dressed like Fela's boys! 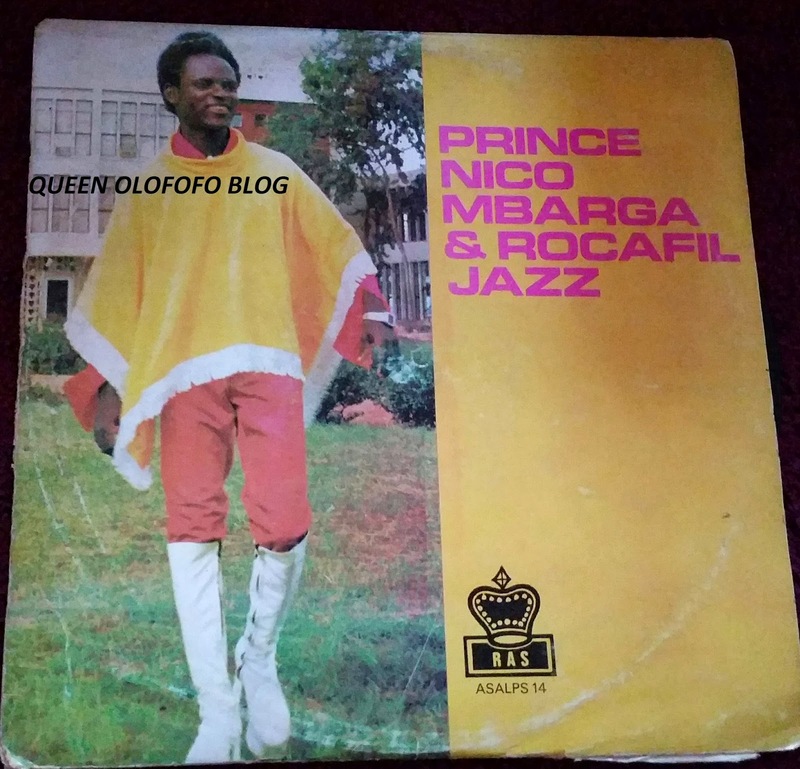 The first old school music album cover we are digesting is Prince Nico Mbarga's Sweet Mother.Every household in Nigeria, i can think of back in the days had this album.I can never forget this album sleeve,saw it around so many times..I remember vividly that when there was a party,the two albums cover i always saw lying around mostly were,the Michael Jackson album,Off The Wall and this album by Nico Mbarga.Also had other classics such as Aki Special and Christiana..a fantastic album indeed. Ahuja Bello was a guy who looked and sounded so much like King Sunny Ade.If you were not very in tuned to Sunny Ade's music or have great ears for music,you heard him and the first thing you thought was,when did Sunny release this album?Sadly a very bad car accident curtailed Ahuja Bello's career and never quite fulfilled his potential.But he still makes it on my classic Nigerian old school list with this album cover. Sonny Okosun,it's really sad now when i see some uninformed South Africans picking up weapons and killing their fellow Africans in this stupid xenophobia attacks.Africans united and fought greatly for apartheid to end in South Africa.Sonny Okosun was the greatest voice in music against South Africa.He was probably the first African outside South Africa maybe to sing against apartheid.Papa's land was a classic song and the album cover was as well.There's fire in Soweto,my people are dying,Okosun sang.Who would have believed in 2015 his people will still be dying but not from the enemies this time?...RIP Sonny Okosun. Bongos ikwue was the thinking man's Michael Jackson.He was Nigeria's Jim Reeves.So mellow with that voice of his.Searching for was a common song in Nigerian homes back in the days.A proper old school classic.Bongos Ikwue had an album out recently,i think it was 2013 or 2014...the man is in his 70s now and sounds fantastic still. I think this was Sonny Okosun's first trip into apartheid protest.And it was with the fantastic Papa's Land..i want to know who owns the land..the China man rules the China land,Americans rule America,tell me who owns the land? 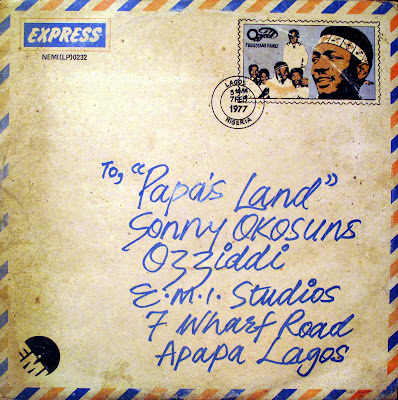 I want to know who owns the land..This is my papa's land..Sonny Okosun was a genius and his album covers were so iconic. Ofege! Nigeria's very own Jacksons.Ofege had all the young ladies in a twist in the 70s..all my aunties fancied them.Good looking guys who started a band while still in secondary school..who can forget all the songs? Whizzy Ilabor,which was my favourite,Ofege is our name,You can never see Nobody fail...This album was orgasmic..Check out this cover..they were super cool. Ofege still,and this is my favourite Ofege cover..they looked like something out of a New York movie! Mandy,Amayo,Evil Child,Tomorrow..gosh these tracks were heavy psychedelic funk..Nigerian were really rocking to this album! 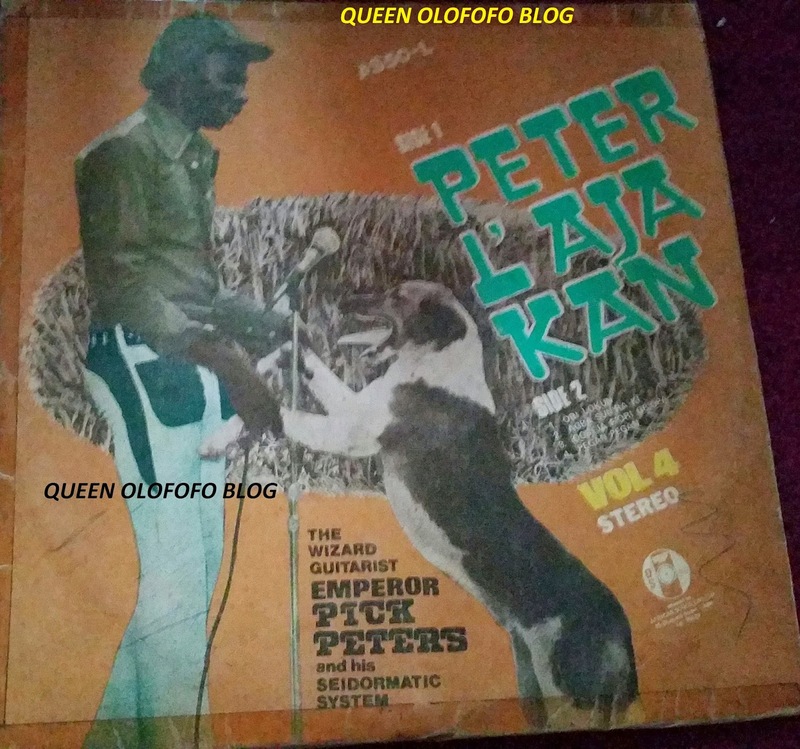 Emperor Pick Peters..hahahahah..Good old days..Sunny Ade had just left his record company African songs,under very bad conditions.Chief Bolarinwa Abioro,who owned African songs,then signed on Pick Peters to rival Sunny Ade.And so began a dissing battle..Emperor Pick Peters was Omo Ode-son of the hunter.Hence the dog in this picture.The dog helps him kill bush meats when he goes hunting,so sang Pick Peters.Sunny Ade replied with,E kilo Fomo de...warn the hunter's song,to desist from walking near the river...lol,good old days..a true Nigerian old school classic. Majek Fashek,the prisoner of conscience.The album that brought the whole of Nigeria to a stand still and showered us with much needed rain.Send down the rain had every body singing.The least said of Majek Fashek now,the better..makes me too sad to talk about him.A legend who could have been so much more. 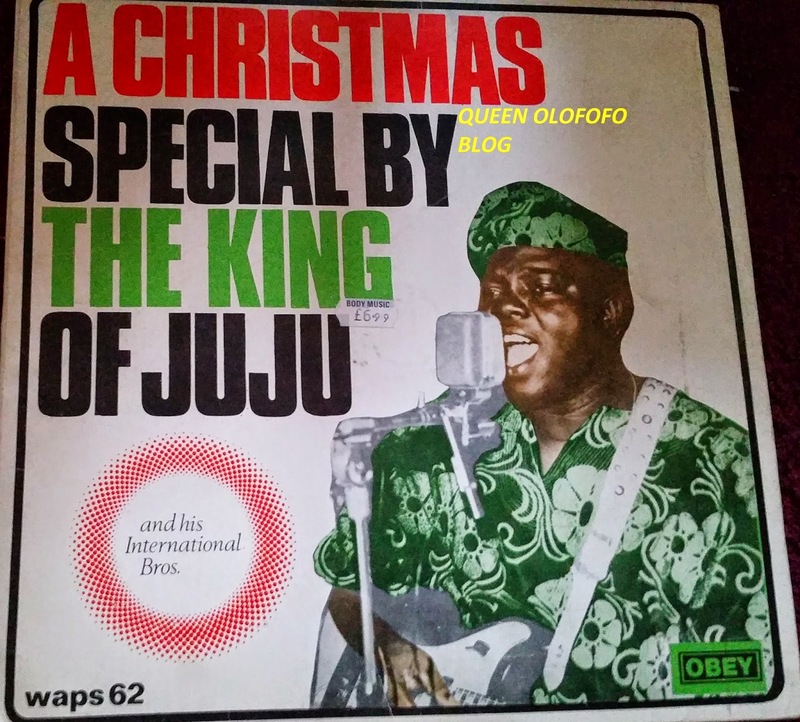 Chief Commander Ebenezer Obey with a christmas classic.Odun Keresimesi..till today this album is blared every christmas.One of Ebenezer Obey's finest moments. 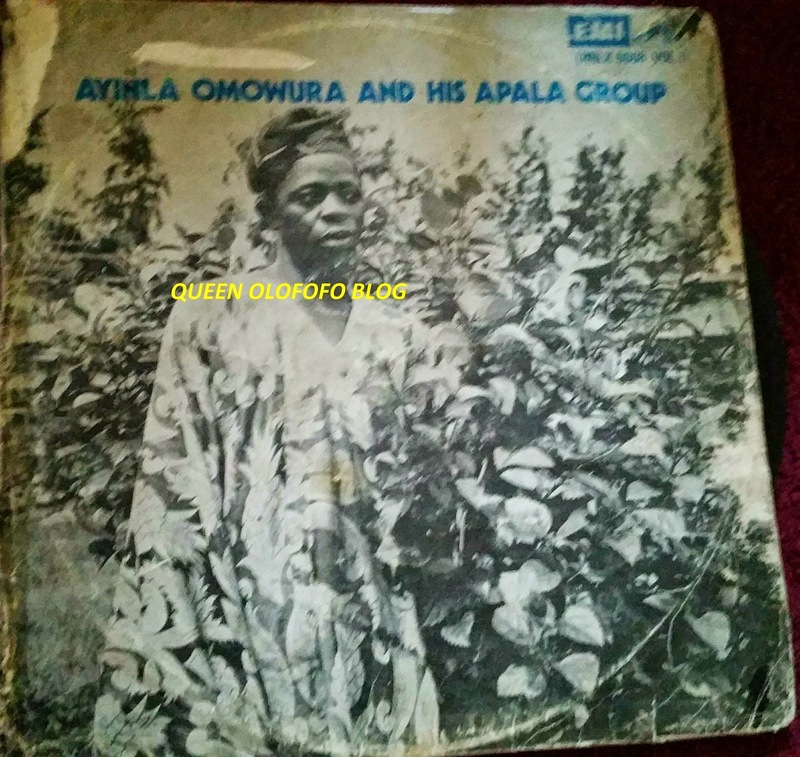 Ayinla Omowura was probably the Fela Kuti version in Apala music.Raw uncompromising and very talented.Unfortunately he dies way too young in the hands of a friend in a beer parlour. Kollington Ayinla was the funkiest thing to come out of Fuji music,i defy you to sit still when you hear this man playing at his peak! 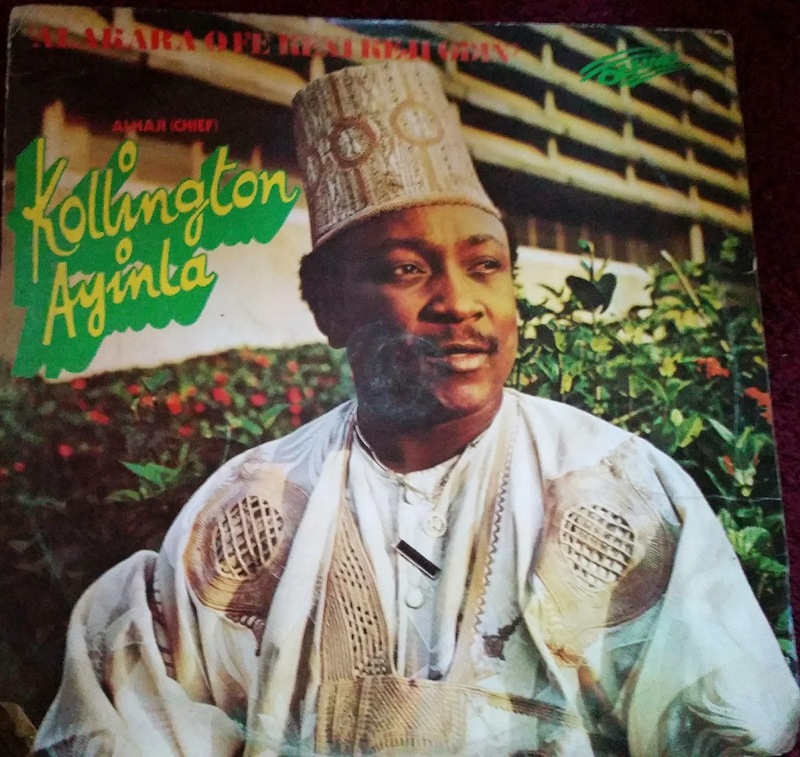 It was impossible..Alhaji Ayinla Kollington was the man! Baba kebe ni Kwara..Baba alatika..lol..These guys were something else with their titles. 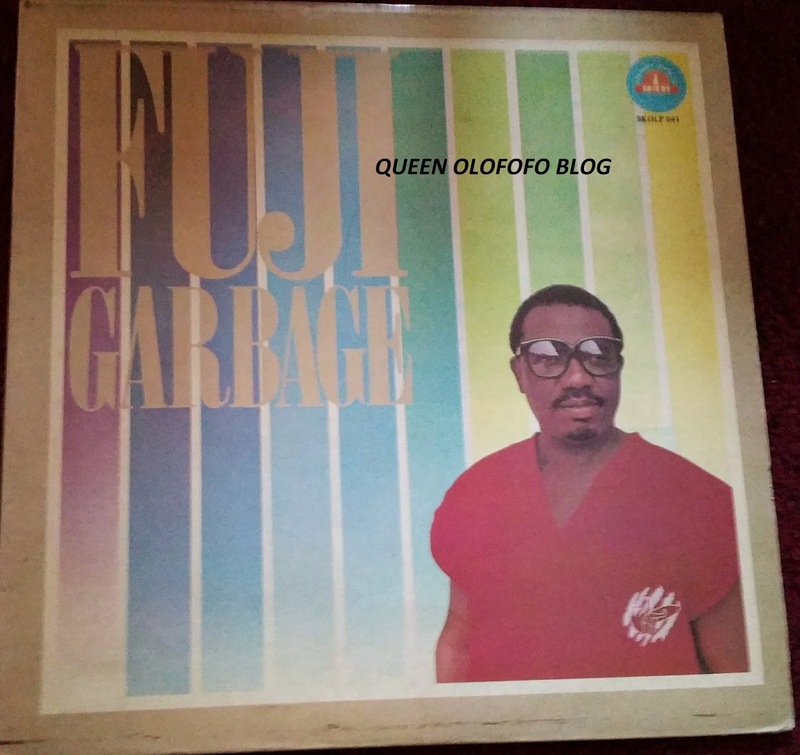 Fuji Garbage was probably Alhaji Ayinde Barrister's proudest moment.This album took him to another level.If Kollington was the funkiest thing in Fuji,surely Ayinde Barrister was the Lionel Messi of Fuji..the Grand Commander..RIP. 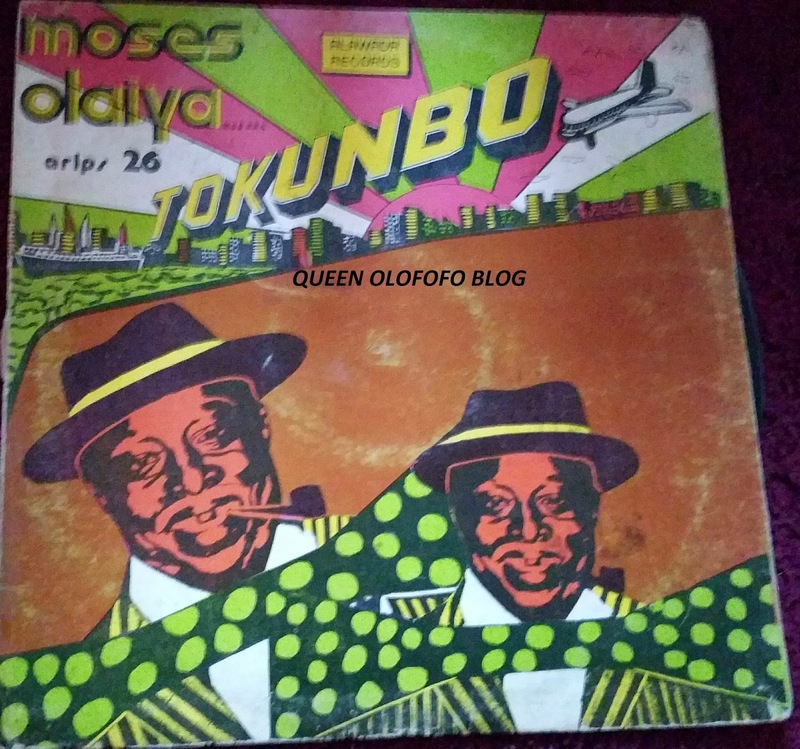 Baba Sala was the funniest thing on Tv in the 70s.If by any chance you can get this album,please do.In the album Baba Sala goes to America to see his friend Adisa.And the results are hilarious.For starters he changed his name to Tokunbo when he landed back in Nigeria.An old school classic from Baba Sala. 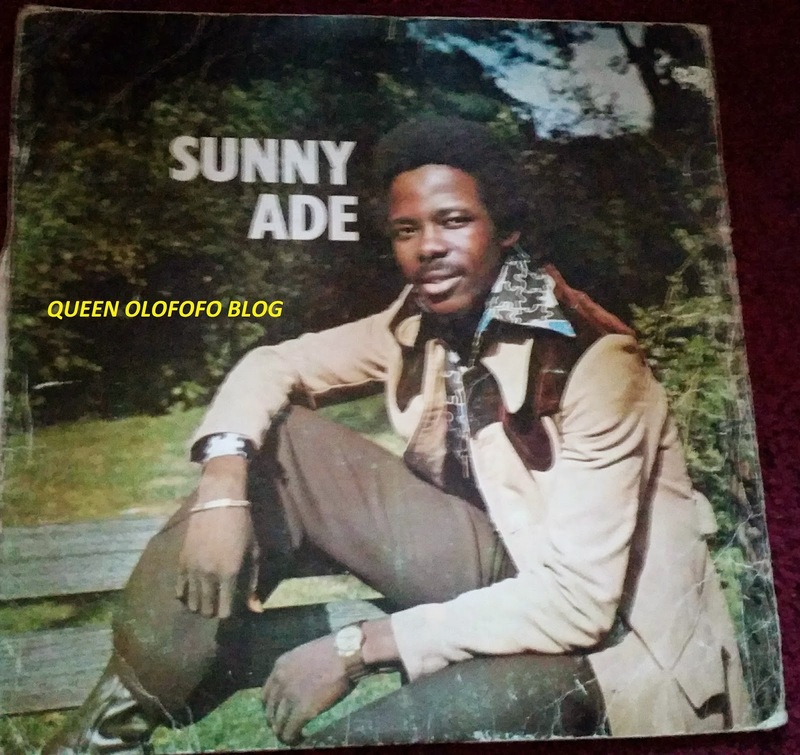 Sunny Ade's E kilo Fomo ode album,in reference to Emperor Pick Peters.It was Sunny Ade's first album on his new label in 1974.Arguably Sunny Ade's best album ever.The guitar solo of Sikira Onise kuse is legendary.So are the songs,Rod Publicity,Won ran Omo loja,Awa o beni kan sota,Mi o mo..in short a hell of a classic album! 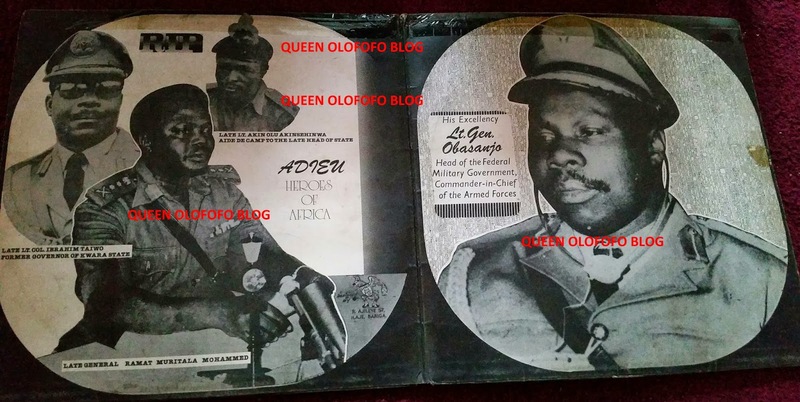 King Sunny Ade's tribute to head of state Murtala Muhammed in 1976,when he was killed along with Ibrahim Taiwo and his Aide camp Akintunde Akinsehinwa.A very somber album that graced the households of Nigeria in respect to Murtala Muhammed. 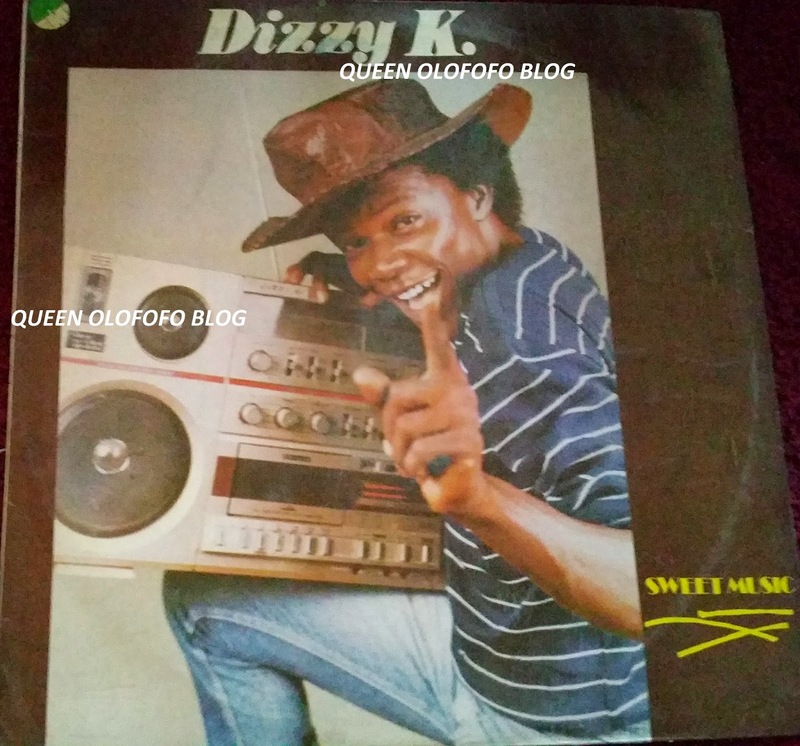 Dizzy K Falola,Nigeria's Michael Jackson back in the days with his high pitched voice.There were quite a few of them inspired by Michael Jackson.This track Sweet Music was a beautiful song coming out of so many Nigerian radios back in the days. 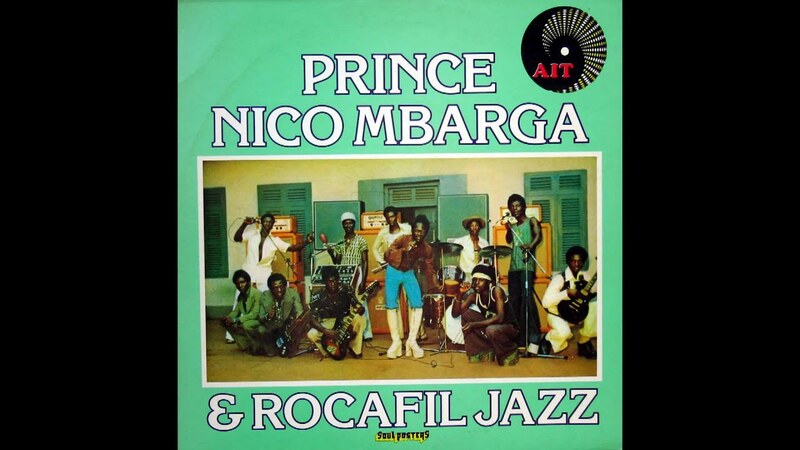 Its that man again,Prince Nico Mbarga.This album had the infectious Na my Choice..na my choice ooo,na my choice eeee..this was a girl refusing her parent's advice of wanting her to dump her poor lover for a rich man in an arranged marriage...epic! 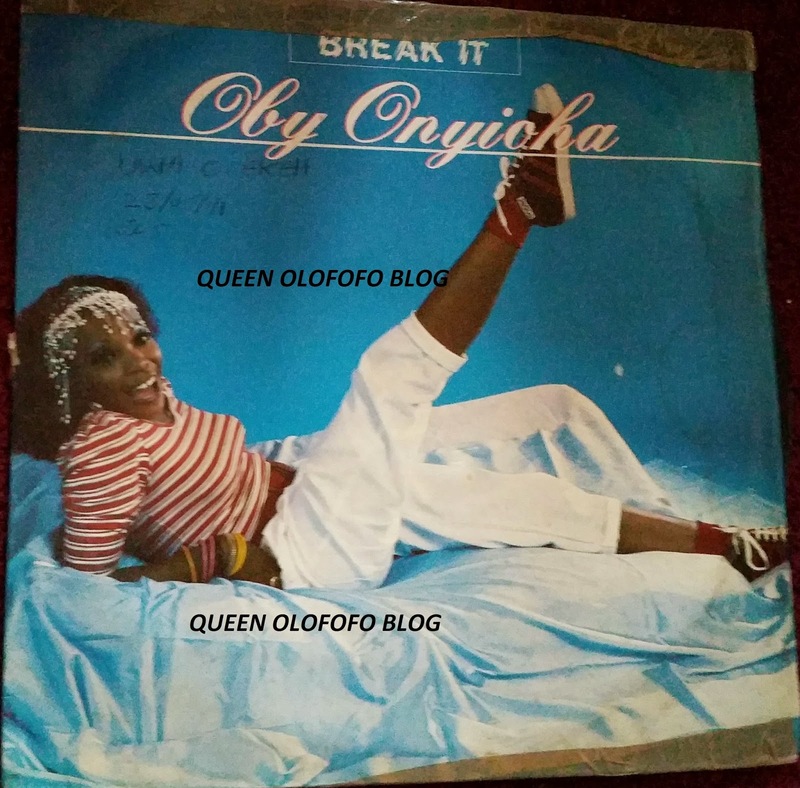 Oby Onyioha was one of the 4 or 5 Nigerian songstresses who were hot in the 70s/80s.This album is not my favourite,the one that had 2 I wanna feel your love is" But this would have to come a close second. 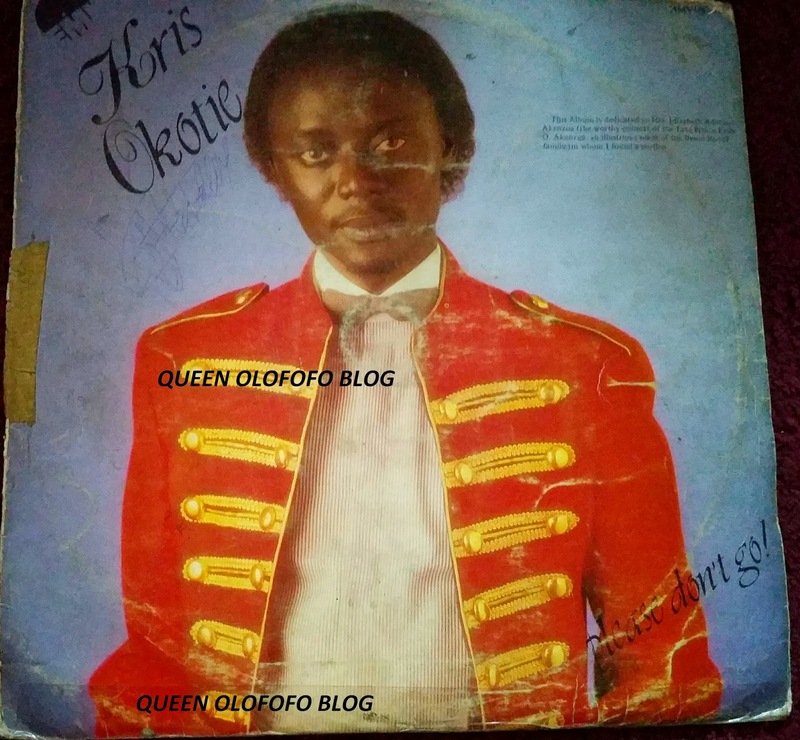 Chris Okotie! This man was hot in the 80s.Chec out the outfit..Michael Jackson would have been proud! I did not put the obvious album" I need someone" because i think everyone knows that,lets see another work of Okotie was the idea. Sunny Ade with the "Afai Bawon Ja" album..such a funky funky number. 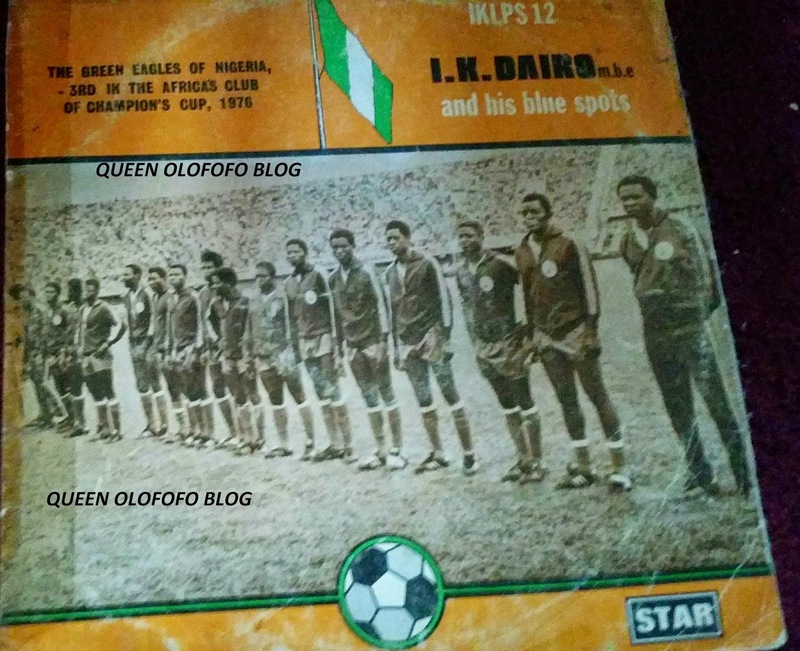 I.K.Dairo with his tribute to the Green Eagles of Nigeria,after they had come third in the African Cup of nations tournament. Ahhh Cloud 7! 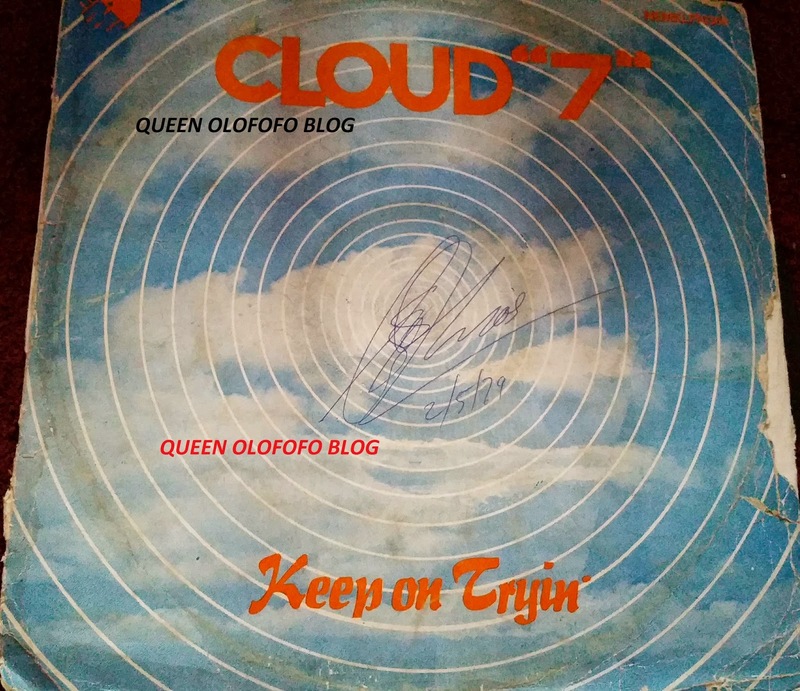 Cloud 7 were a Nigerian group in the 70s from Eastern Nigeria who just sang the most amazing mellow love songs.Here on this album is the classic and evergreen "Beautiful Woman"
General Prince Adekunle was third in line to Ebenezer Obey and King Sunny Ade.This album which had "Awodi Nfo ferere" blew the roof off and was a huge hit for General Prince Adekunle! 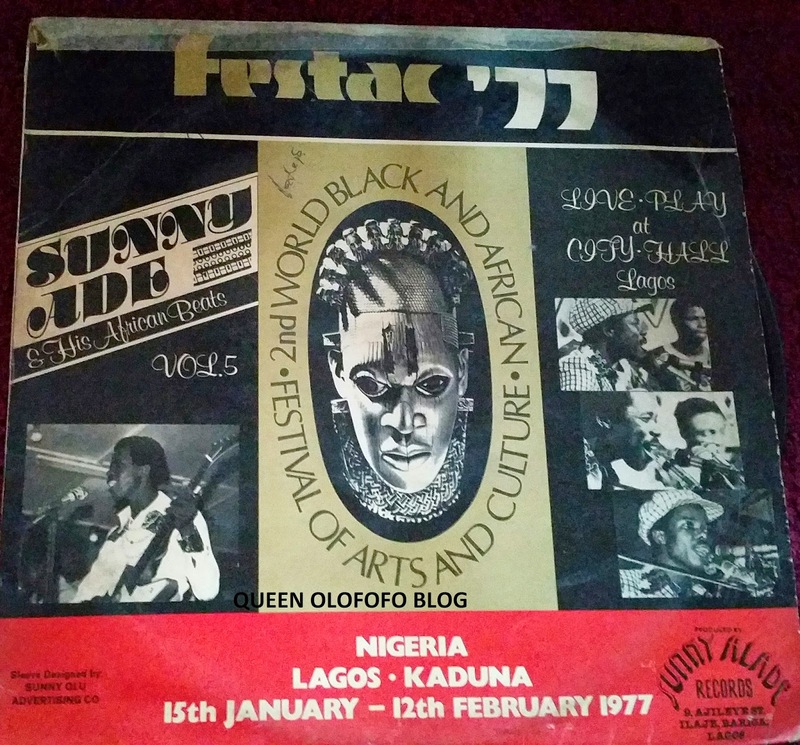 I have just read an autobiography of King Sunny Ade,and according to him,he was meant to play at Festac 77 but the IV didn't come until the festival was over! Can you believe that? Nigeria for you.Anyway to make up for not attending the festival,Sunny recorded this album live at City Hall Lagos during an event with many foreigners who had come to see Festac..Wecome welcome ladies and gentlemen..you are welcome to Nigeria..where the Festac is taking place..here in Nigeria ina Africaaaaa! Love it! 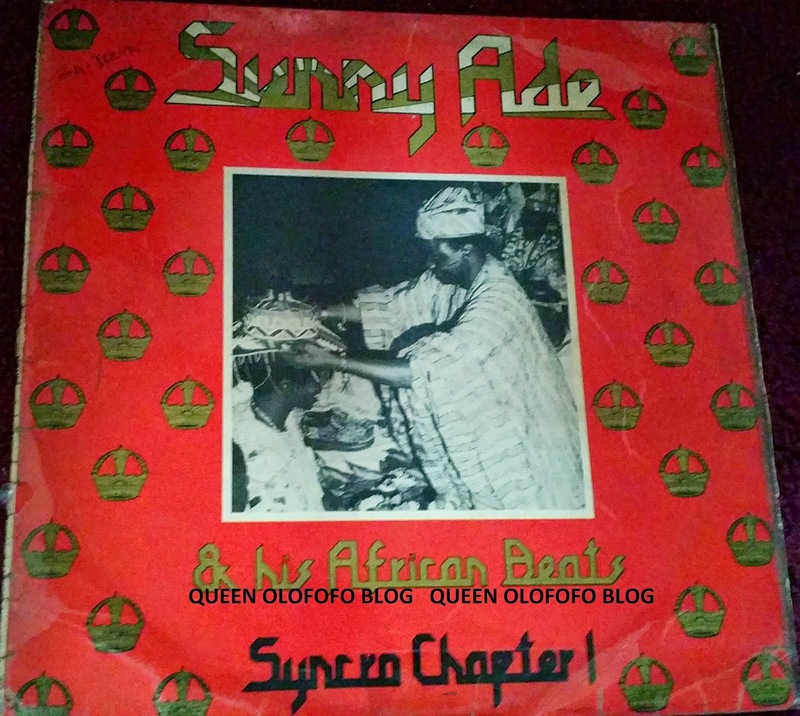 For those of you who wonder why Sunny Ade calls himself a King,well,he was actually crowned the king of music in Ibadan by Oba Lamidi Adeyemi,as you can see from this picture.This album celebrated that as well as introducing Synchro Feelings..Oh and who can forget the eulogy to Oba Adeyemi with the incantations at the end? Classic Sunny Ade. 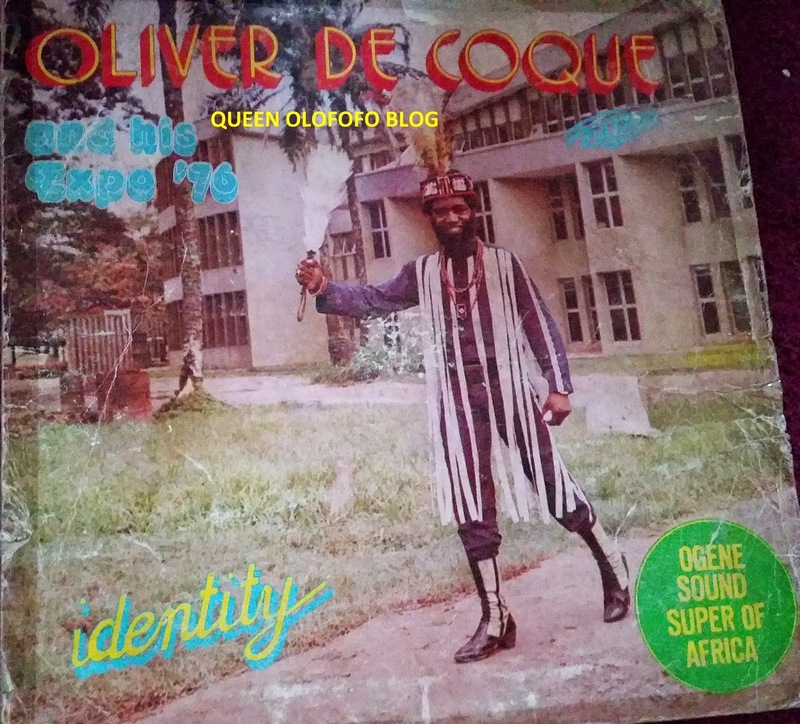 Oliver De Coque and his Ogene sound super of Africa! Wow..a mouthful..This album had his finest hour,Identity..is it bunny bunny identity or funny funny identity? And what does it all mean? The jury is still out lol..But one thing i can tell you is that,the young and old of Nigeria were singing along to this classic song. 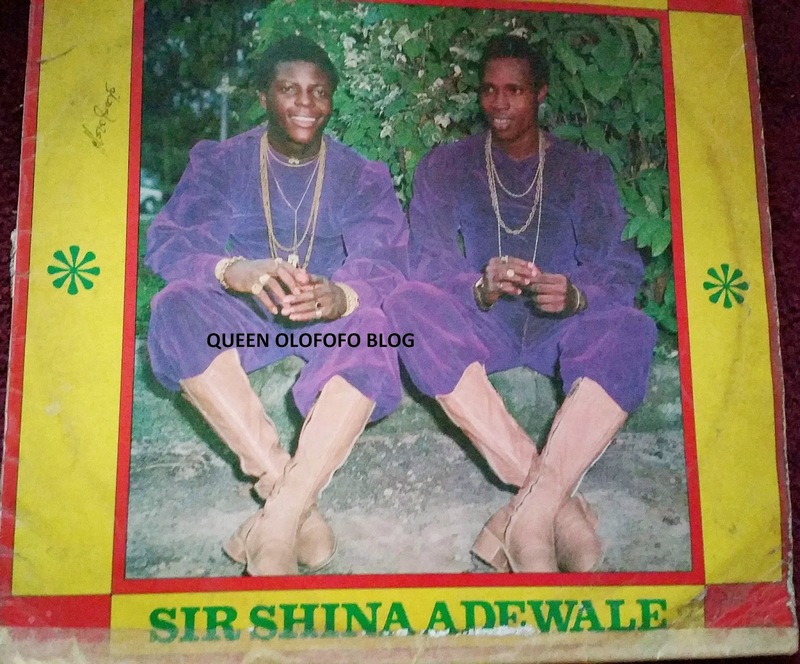 Sir Shina Adewale.What a combination.This was well before the days of Ace.Sir Shina Peters ,then a young prodigy had left Prince Adekunle's band along with Segun Adewale and formed the super stars international...They had a great run and had some classic songs.This album had the songs Bobo Doherty,Alhaji Volvo,Baba wa loke adupe,Guguru Perere epa perere...fantastic stuff..a Nigerian classic.Check out the blings..Wizkid and Davido has nothing on these guys,lol. 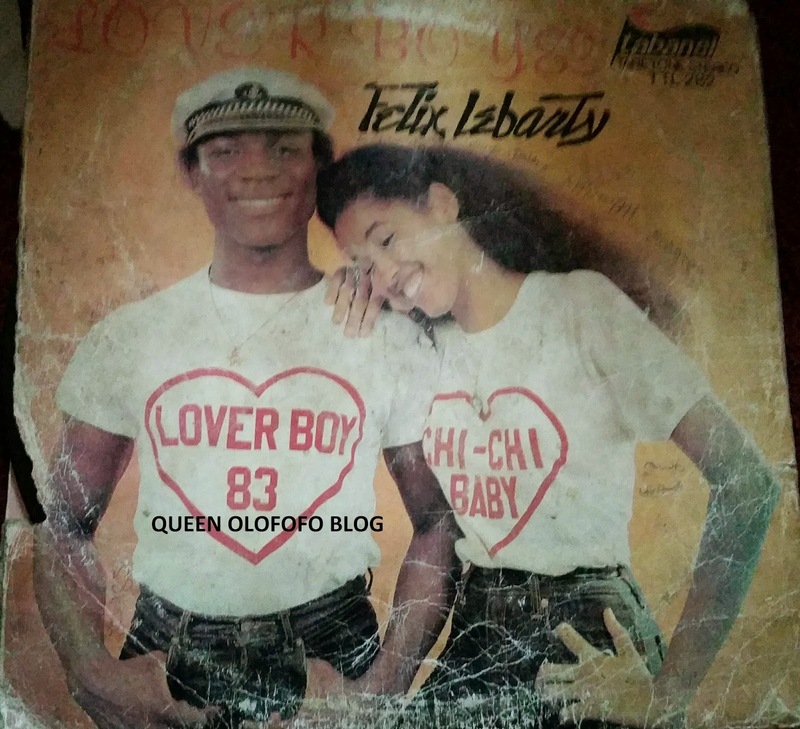 Felix Lebarty.The loverboy himself.Another Michael Jackson contender back in the days,with his tight leather pants and dance moves.This album had the poppy Aburo mi o and Chi Chi. 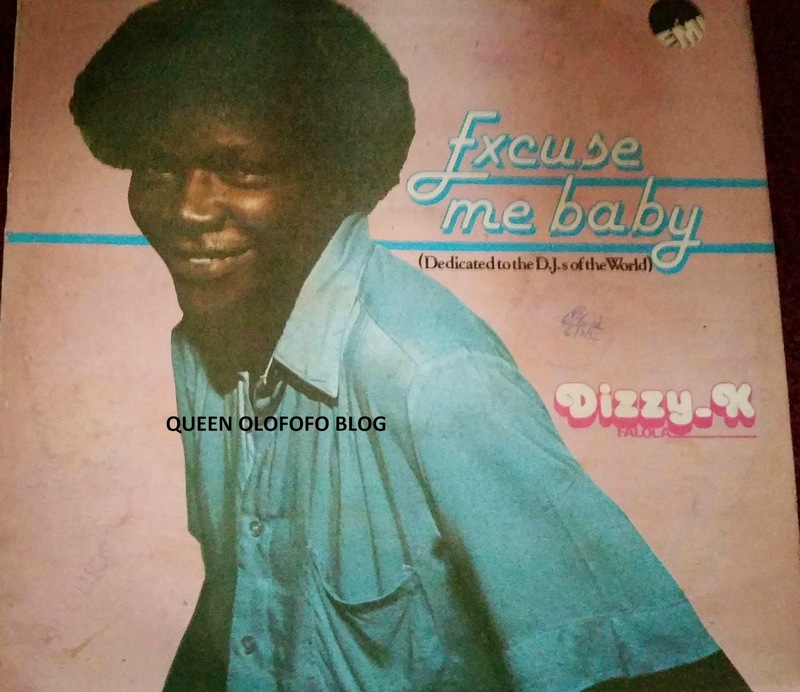 Dizzy K Falola with his most successful album.Had the infectious Excuse me baby. 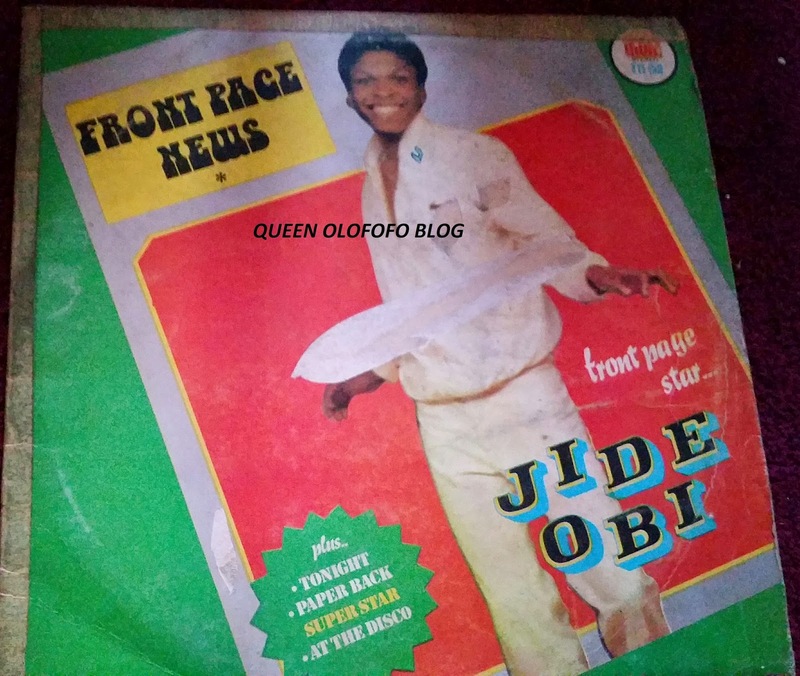 Another big album for Jide Obi with Front page news..Everybody's talking,front page news...lovely stuff. 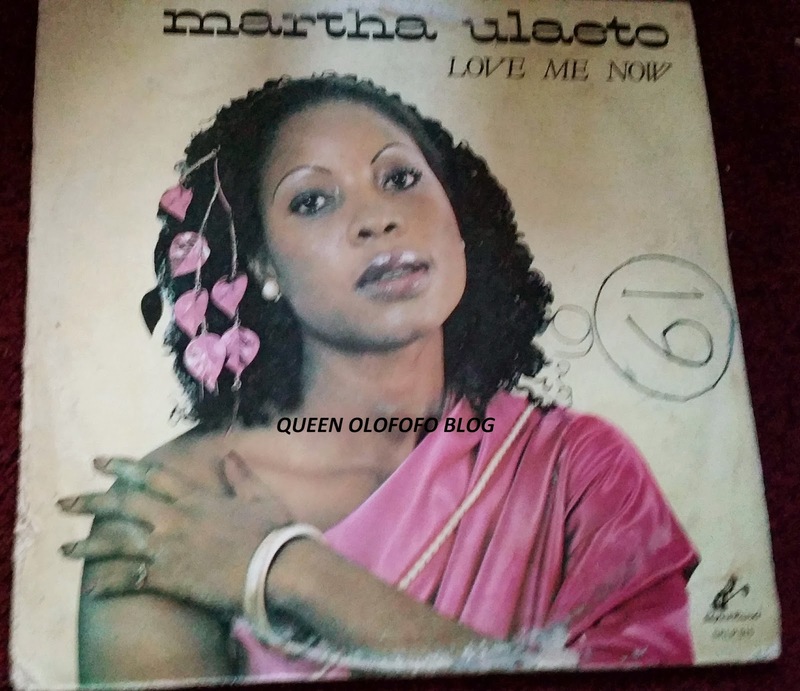 Martah Ulaeto had an incredible range and was apparently trained as an opera singer.She shook Nigeria with this album. 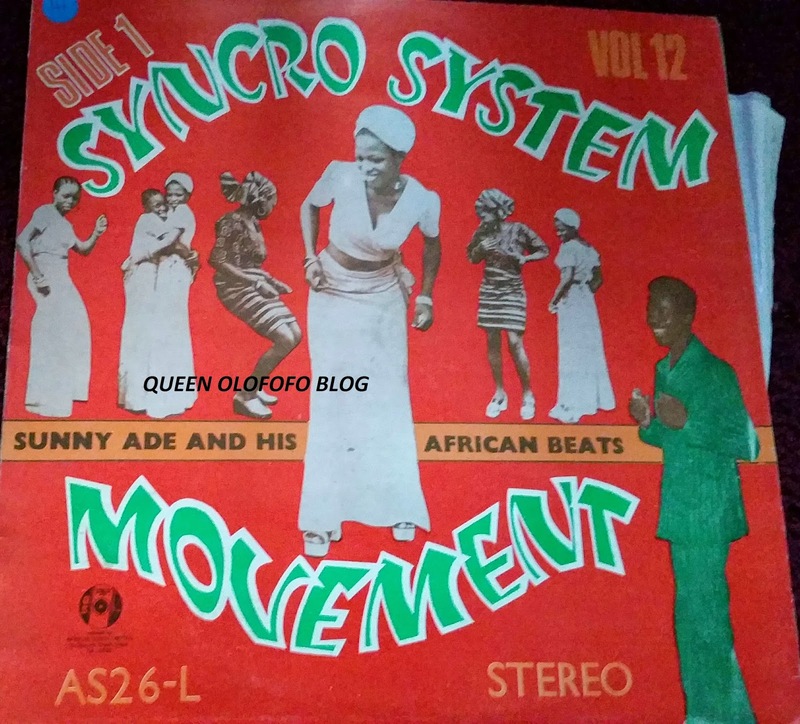 If Ekilo Fomo ode was Sunny Ade's greatest album,Syncro System comes a close second.When it came out there was nothing like it..the groove was just hypnotic..its had your body and soul synchronized to your dancing feet! 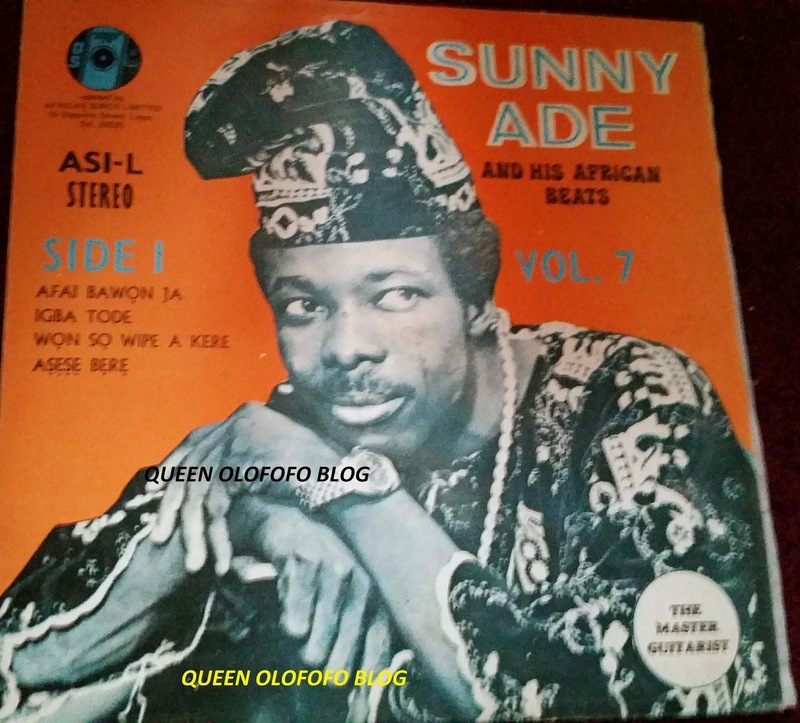 A fantastic King Sunny Ade album that had the track where he eulogized the Benson family..Ben Ben Ben Benson! 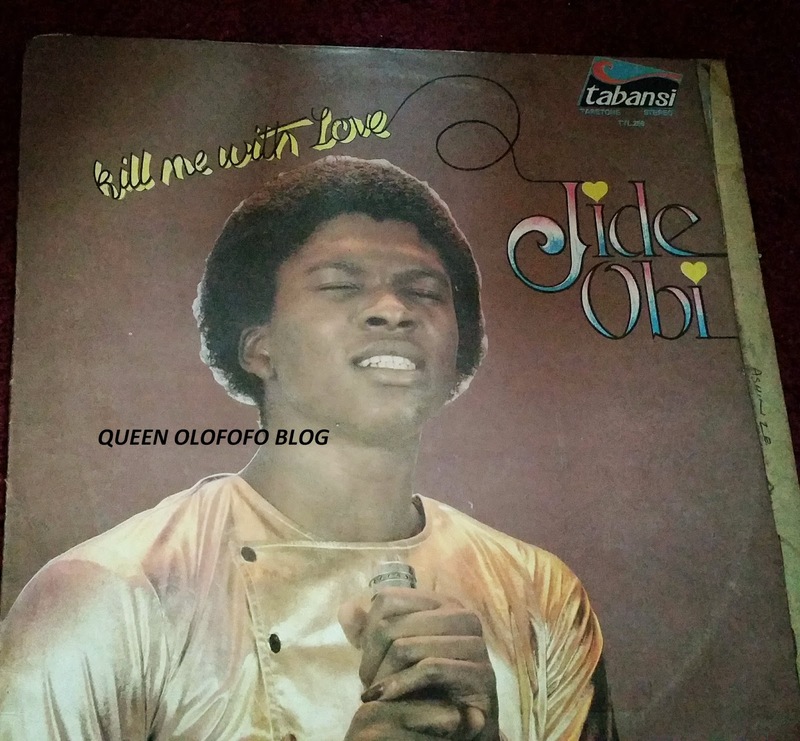 This also had Ogidan Oni se Barber...Ariya Odun Kewa,which was a dedication to his 10 years in music...it also had Ki lan fani Orogbo..It was a double album and he must have been at his creative peak,cos there was no filler tracks here..The album was hot from start to finish! 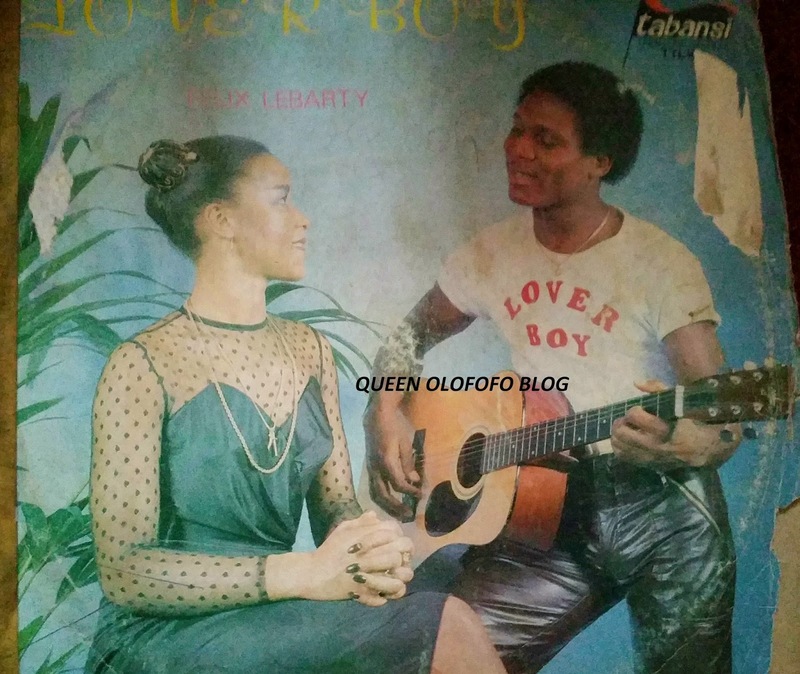 Felix Lebarty's best album.Had Ngozi,Lover Boy,Sugar baby..this was huge and from east to west,Felix Lebarty was the toast of Nigeria. Emperor Pick Peters continues his fight with Sunny Ade,which by now had shifted to Dele Abiodun who decided to fight for Sunny Ade.This was an interesting time in juju music as the fans waited eagerly to see who as replying who. 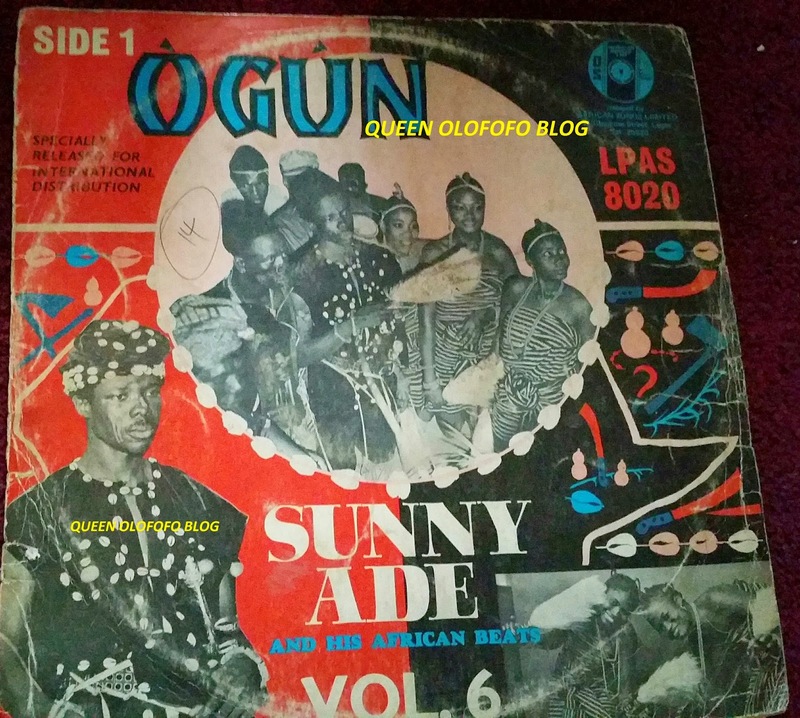 This Sunny Ade album,Ogun, used to scare the hell out of me as a child.He looked scary in that outfit..but this was juju funk at its best.The other side of Ogun which was dedicated to Bendel Insurance football club winning the Nigerian Challenge Cup is pure poetry! 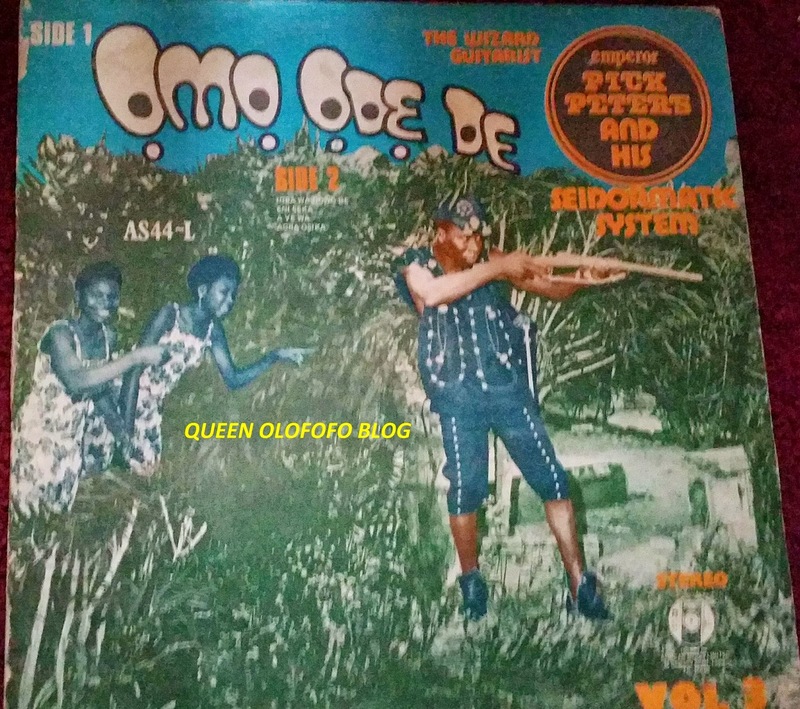 Comedey albums were also big in Nigeria in the old school days.Here we have Masquerade the popular Tv show with Chief Zebrudiaya Okorigwe Nwogbo alias 4.30! Wow ,such a mouthful! It also featured Jegede Sokoya,Clarus,and Giringory..oh and Apena as well,which was played by Christy Essien Igbokwe. 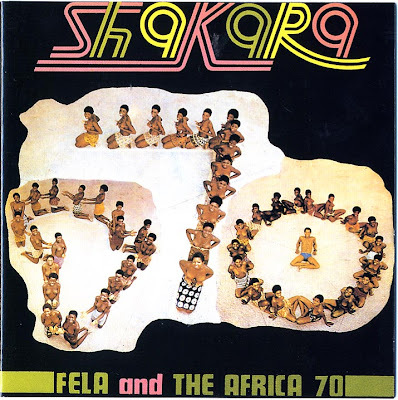 Nothing in Nigerian music can be complete without Fela Anikulapo Kuti.This album Shakara blew up the whole of Africa,From Cameroon to South Africa to Ghana...And check out the album cover..Only Fela could have come up with that. The first of the many battles of Fela Ransome Kuti as he waas known then,and the Nigerian Police.This incident was recorded in the classic Kalakuta Show.It had the immortal line,"look Lawyer e dey run"...Fela was one funny guy. In my opinion ,the one album Fela Kuti probably wished he never recorded in retrospect.It was also one of his best..Zombie was so funky ,it was unreal.But for the price he had to pay for it,i don't think it was worth it.Fela lost his house and millions of Naira,at a time when foreign exchange was 1 Naira to a pound.Lost his film the black President in the fire,never recovered financially till he died..lost the ability to play the sax properly from injuries,lost his mother as a result of her injuries..and in my opinion Fela became more reckless in life as he thought he couldn't lose any more than he had. Maybe Fela would still be alive without Zombie,i really believe so. 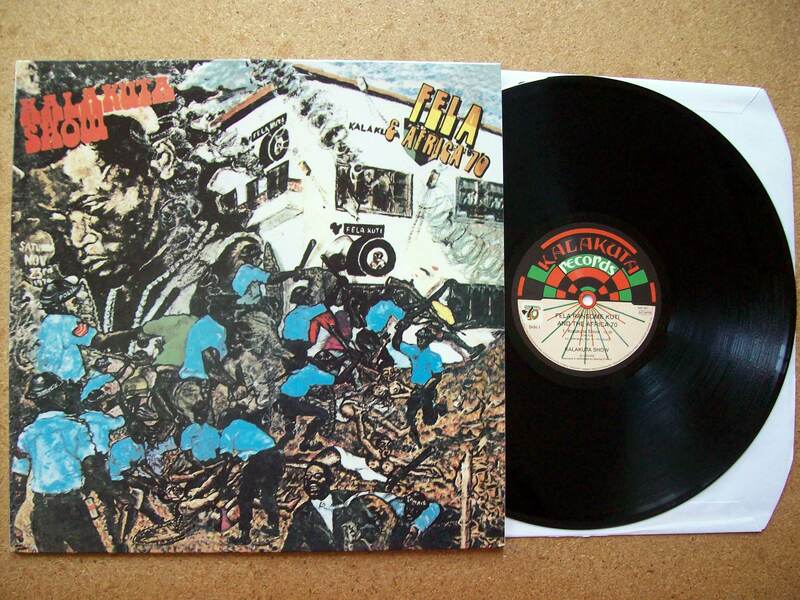 Fela's London scene..oh my gosh,this album was so groovy its unreal.The arrangements,the horns..the beat,Mr Who are you?,Buy Africa,E gbe mi o..Jehin Jehin..oh this album was a mother of an album..Fela's London scene is a Nigerian and world Classic. Oriental Brothers International.Music cannot be complete in Nigeria without the mention of the Oriental Brothers.My Grand mother lived next door to an Isi Ewu joint in Hogan Bassey just behind the National stadium.Any time Rangers international of Enugu played,that joint was descended on by fans..Yamaha and Honda motor cycles parked outside in their hundreds...and guess who is always playing,the amazing Oriental Brothers! Good times. Sir Victor Uwaifor the Guitar Boy was a genius full stop! The man could do anything.He was a poet,a multi instrumentalist,a sculptor,a lecturer,an author,a sports man,and the last time i heard,he created a human being! I won't argue,Victor Uwaifor could do it all..and he made sweet music.Joromi was the first single to go gold in Africa. 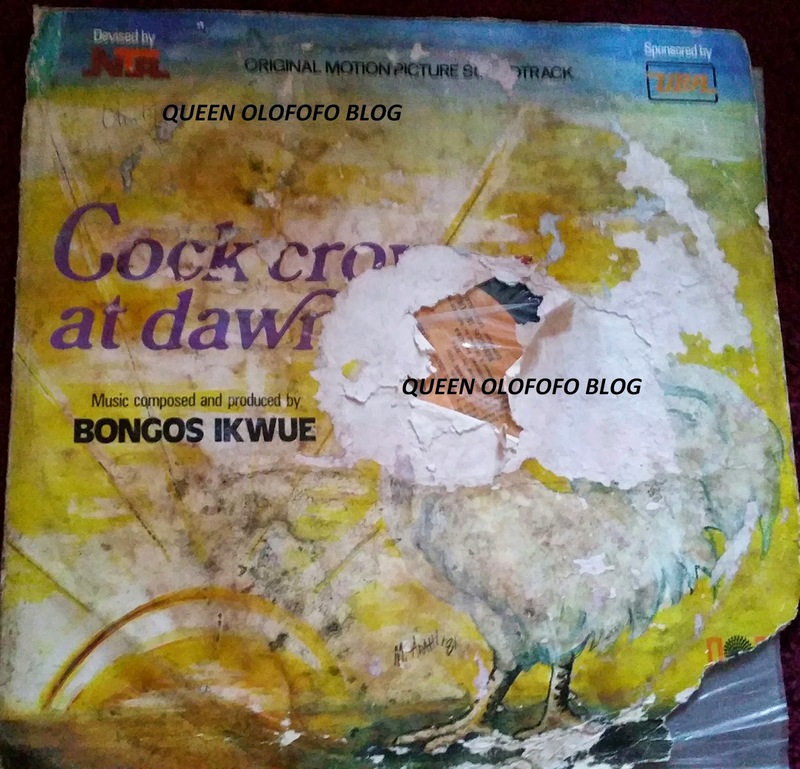 Many more classics followed..if you see Mami water,Titibiti,Take a message to my darling and many more.Sir Victor Uwaifor,..i doff my hat to you sir! Christy Essien Igbokwe.What a talent,she could sing,dance and act.Listen to this album,her finest.Have you ever liked my person was a country song that could easily have been a hit world wide if promoted.Then the album also had the Nigerian classic "Seun rere" plus the funky Ka Anyi Gba Egwu.I love you Christy Essien..sleep well. 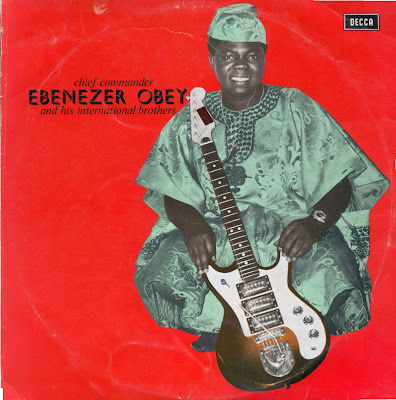 Ebenezer Obey's greatest album is Board Members without a doubt.This was huge..This was the first Nigerian album to go gold,and rightly so..this album had ,Board Members,Edumare soro mi dayo,Ajala Travel,Sade dara lobinrin,Omo ya o ye..this was a killer..a classic that still moves you off your seat today. Ketekete,The man and his horse was another Ebenezer Obey album that rocked Nigeria in the old school days.Some might even say this album is better than Board Memebers.Ketekete also had "eni ri nkan he" on the flip side...i always laughed when our Hausa gateman tries singing this song.When you have an Hausa man singing a yoruba song,you know the song has gone mega! Sir Shina Peters's Ace album had an incredible effect on the Nigerian music scene and also created a new genre,Afro Juju.Shina Peters was about giving up music when he recorded this album.It was his last shot cos he was tired of being a failure in the solo field.Ace blew up big time all over the country.In the east,west,north and southern part of Nigeria,Ace was the number one album and song..everybody was doing Ijo Shina like the album suggested.Sir Shina stayed at the top for another 4 or 5 years.It was indeed Shinamania..i think it was the biggest Nigerian cross over album ever! Wale for Queen of the Naija Blog.